Looking for software to view your spare parts on the Internet? You need not look further. The software is called Bildem and are from Mätorit Data AB. If you have a car recycler, car scrap, accessories business, workshop, refurbishing company or retailer is Bildem the program for you. You store your parts and displays them automatically on the Internet. Try it for free? 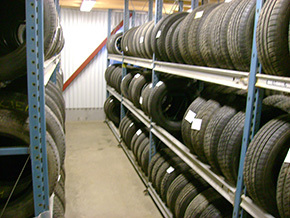 Mätorit have a wide range of data products in a webshop online. Webshop containing thousands of data products of various kinds such as computers, monitors, printers, digital cameras and other computer accessories. Here you can buy products from many leading brands. Among a few we can mention Acer, Brother, Epson, ASUS, AOpen, Thermal Take, XBox, Chieftec, Hitachi, Ronan, Samsung, Western Digital, Logitech, Apacer, MSI, Creative, NVIDIA, NEC, Plextor, Canon, Lexmark, Labtech.